You’ll see – it’s a much easier way. 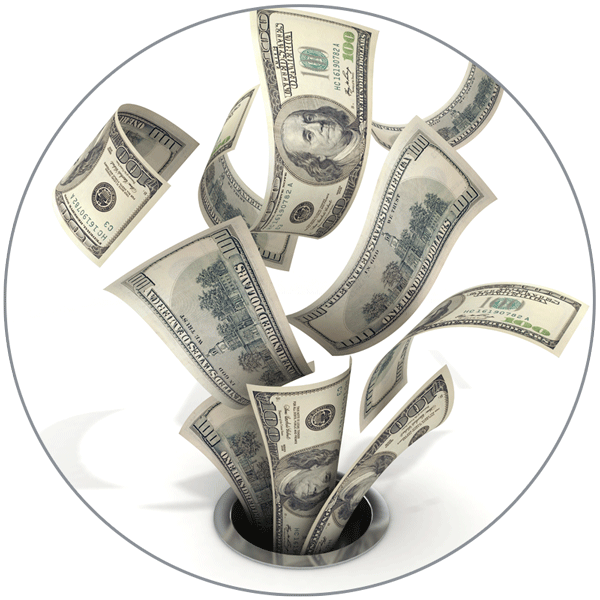 We typically save customers 60%! The Denali comes with stainless steel sides – and internal stainless steel hot and cold reservoirs. The cooler is built to last. 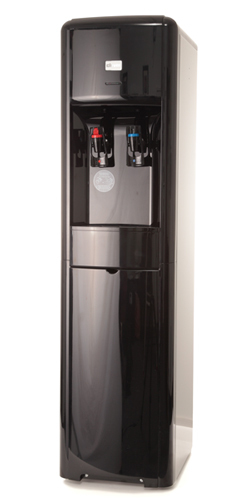 The Denali bottleless water cooler purifies the water that’s already in your office or home to bottled water quality. Easy to change right from the front. Many bottleless coolers have filters just hanging off of the back. On Sale for $399. Includes Everything. Trying to find more floor space? The MINI is your answer. 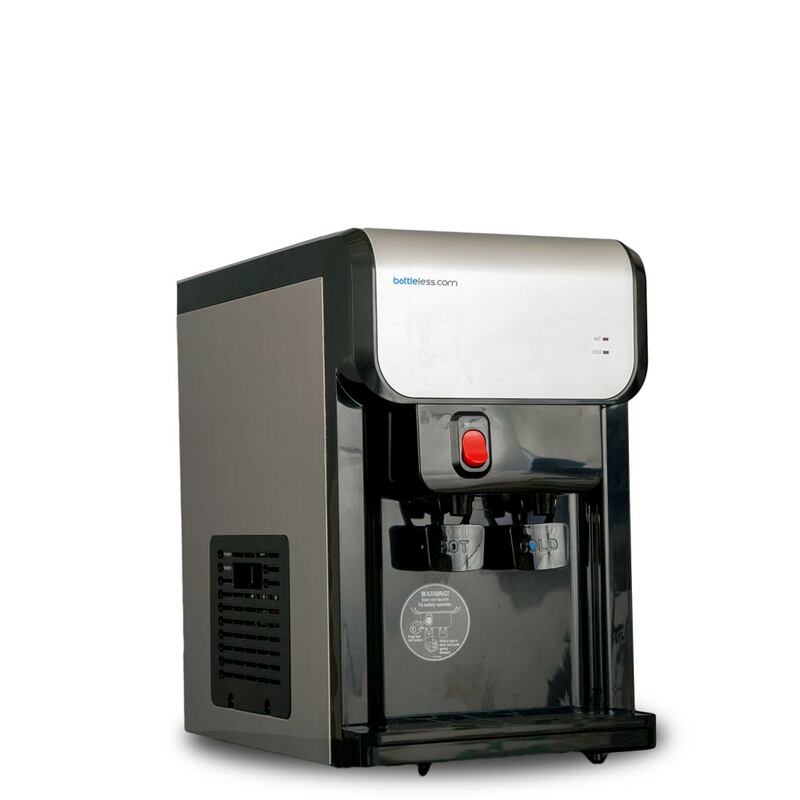 Pure water at your fingertips right next to your coffee brewer. The MINI offers the same great on-demand hot and cold pure water – but in a space saving design. The MINI has the same cold water capacity as our Denali cooler – even though it is smaller in size. If your new bottleLess cooler is going to be located in a high traffic area such as a busy waiting room or a warehouse, you may want to consider the Everest. It has twice the capacity as our Denali cooler (which is also commercial grade). Fill your sports bottles and coffee pots. Easy to change filter right from the front access panel. On Sale For $479. Includes Everything. Why spend thousands of dollars renting when you can own our incredible bottleLess coolers for as low as $399? Just go to our SHOP page and choose your new bottleLess water cooler. You can purchase the cooler for as low as $399 – or you can pay 12 monthly payments with Affirm. 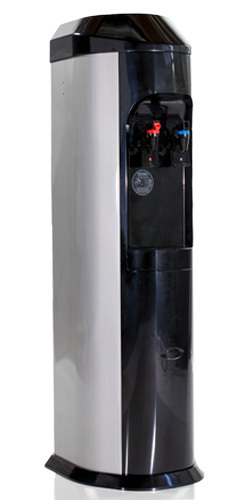 Either install your new BottleLess Water Cooler yourself – or we can have someone come out and do it for you. Just choose the installation option in your shopping cart. 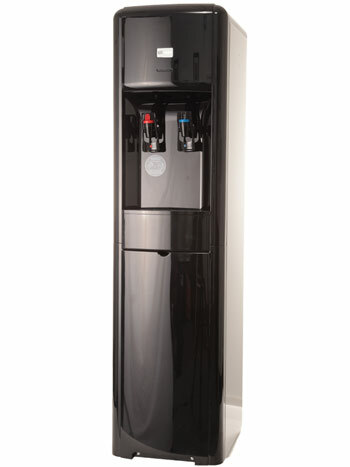 Now that your bottleLess water cooler is all set up – just enjoy the pure water: instant steaming hot or chilly cold. Just change the filter once or twice a year ($49.95 each). They’re always available on our shopping cart and on Amazon. Don’t Be Shackled To A Lease With Our Competitor’s Coolers. Own Yours And Save Thousands! Why throw thousands of dollars down the drain renting when you can own our incredible bottleLess coolers for as low as $399?